2005 YU55 will closely pass the Earth, missing us by 325,000 kilometers (200,000 miles), on November 8, 2011. 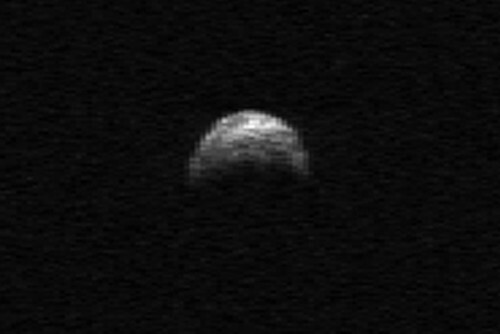 This asteroid will come closer than the moon’s distance from Earth. The time of closest passage will be November 8 at 5:28 p.m. CST (23:28 UTC). NASA says its scientists will be tracking asteroid 2005 YU55 with antennas of the agency’s Deep Space Network at Goldstone, California, as the space rock flies past Earth slightly closer than the moon’s orbit on November 8, 2011. The asteroid’s orbit is well known, and it will not strike Earth. 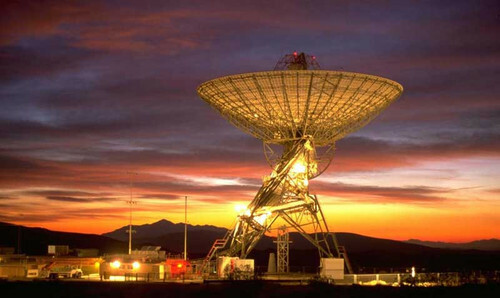 … a science target of opportunity – allowing instruments on “spacecraft Earth” to scan it during the close pass.